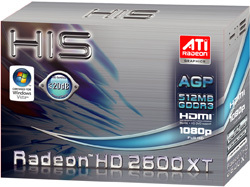 HIS Radeon™ HD 2600 XT delivers remarkable gaming performance to unleash the HD visual effects within Windows Vista™ and DirectX® 10. upgradeability makes it easy to scale up graphics performance to boost the most demanding games; and built-in multi-channel 5.1-surround audio over HDMI establishes a new level of entertainment designed for tech savvy gamers. 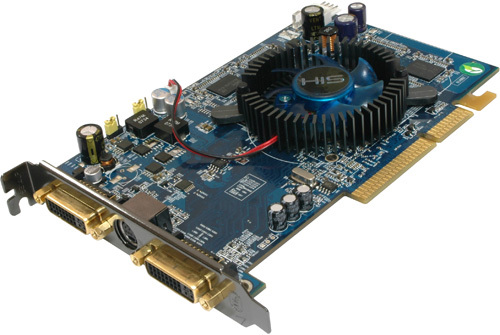 HIS Radeon™ HD 2600 XT features advanced hardware HD video processing and HDMI with built-in 5.1 surround sound for stunning big-screen entertainment. Home theater aficionados will be mesmerized by ATI Avivo™ HD technology that delivers sharp images and vibrant color fidelity from 1080p playback of Blu-ray™ and HD DVDs movies. ürün hakkında söyleyebileceğim tek şey..MÜKEMMEL..agp kartlar arasında hd3850 den sonra en baba kart diyebilirim..